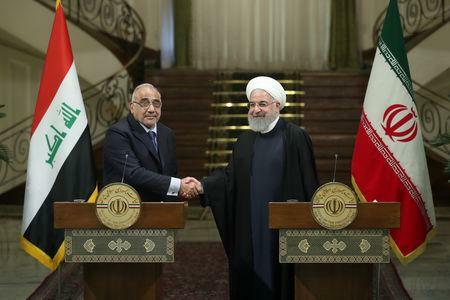 DUBAI (Reuters) - President Hassan Rouhani called on Saturday for Iran and neighbouring Iraq to expand their gas and electricity dealings and boost bilateral trade to $20 billion, state TV reported, despite difficulties caused by U.S. sanctions against Tehran. 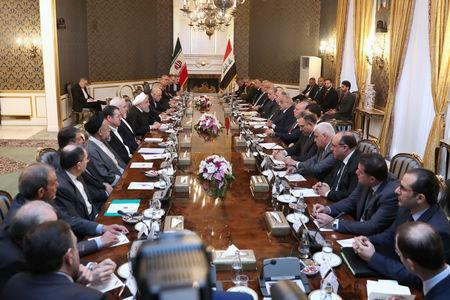 "The plans to export electricity and gas and hopefully oil continue and we are ready to expand these contacts not only for the two countries but also for other countries in the region," Rouhani said after a meeting with visiting Iraqi Prime Minister Adel Abdul Mahdi, in remarks carried by state television. In March, the United States granted Iraq a 90-day waiver exempting it from sanctions to buy energy from Iran, the latest extension allowing Baghdad to keep purchasing electricity from its neighbour. "We hope that our plans to expand trade volume to $20 billion will be realised within the news few months or years," Rouhani said. Iranian media reports have put the current level of trade at about $12 billion. Rouhani expressed hope that work on building a railway linking the two countries, would begin within the next few months. 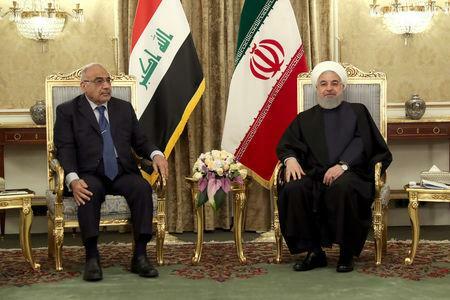 The railway project was part of deals reached during Rouhani's March visit to Baghdad, meant to underline that Tehran still plays a dominant role in Iraq despite U.S. efforts to isolate Iran. Iran and Iraq fought a devastating 1980-88 war but the 2003 U.S.-led invasion of Iraq that ousted Saddam Hussein prompted a long Sunni Islamist insurgency during which Iran’s regional sway rose at the expense of the United States. Iraq on Saturday closed its Sheeb border crossing with Iran to travellers and trade until further notice, Iraqi security sources said, as flooding continues to submerge villages in southwestern Iran. U.S President Donald Trump reimposed sanctions on Iran’s energy exports in November, citing its nuclear programme and meddling in the Middle East, but has granted waivers to several buyers to meet consumer energy needs.